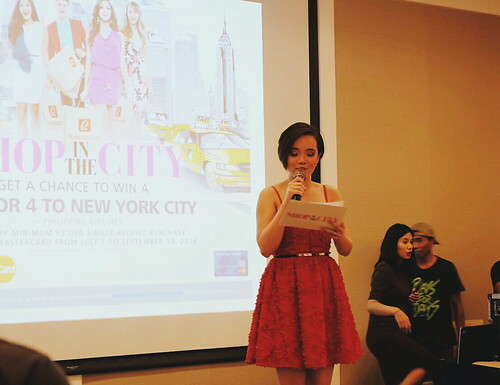 Get a chance to win a all-expenses-paid trip to New York! Who would want to got to the iconic city of New York? Start your engine and get a chance to fly at the Big Apple with all-expenses-paid. *cringe* If shopping makes you happy then this “Shop in the City” promo will give shopper a new kind of thrill. Robinsons Department Store, MasterCard, and Philippine Airlines tie up for one exciting experience to its loyal customers. Starting this July, tons of prizes will be given away to lucky shoppers, 10 lucky winners will receive P50,000 worth of shopping spree at Robinsons Department Store. 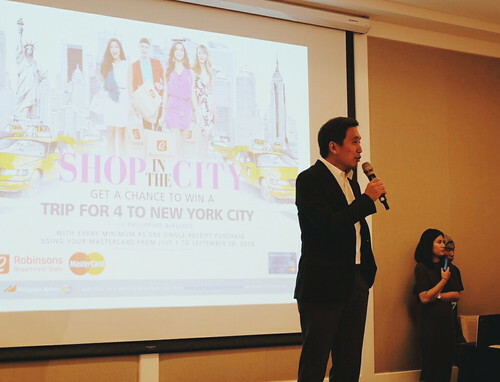 One lucky shopper can win the “Shop in the City” promo, with all-expense-paid trip for four to NYC, inclusive of roundtrip airfare via Philippine Airlines, a 4D/3N hotel accommodation, and a wardrobe makeover worth P100,000, courtesy of a celebrity fashion stylist. Every P3,000 single-receipt purchase at any participating Robinsons Department Store nationwide using MasterCard’s credit, debit or prepaid cards, whether for straight or installment transaction for credit card usage, earns one (1) raffle coupon entry. PNB Mabuhay Miles MasterCard credit cardholders will get 2x the raffle coupon entries while Robinsons Rewards Card Members get 1 additional raffle coupon entry with every purchase. The “Shop in the City” raffle promo will run from July 1 to September 30, 2016. The winners to be drawn on October 14, 2016. Check out www.robinsonsdepartmentstore.com.ph, like Robinsons Department Store on Facebook and follow RobinsonsStore on Twitter for more information. Hurom: Gift of Health for Dads!